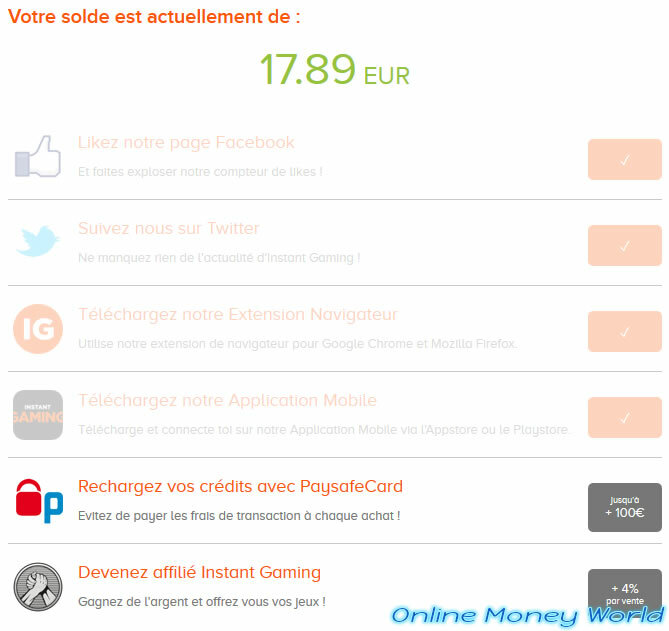 If you don't know Instant-Gaming, know that this site will allow you to buy all your PC, XBox, PS4, ... games cheaper. 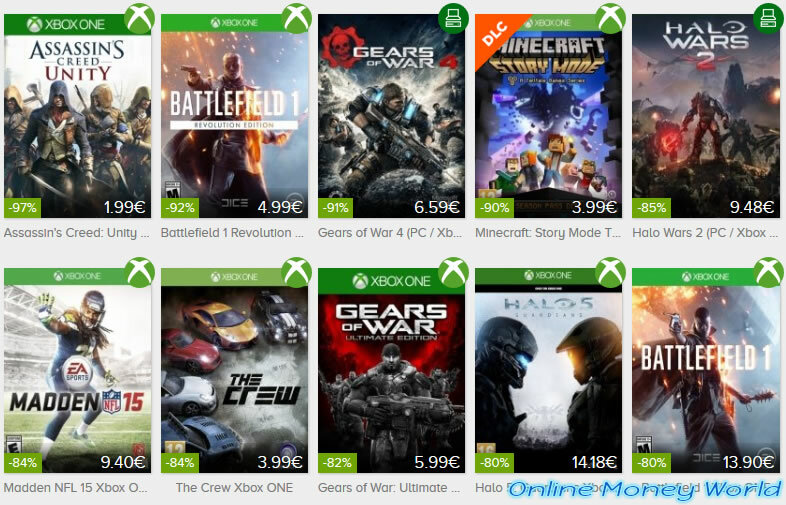 Indeed, Instant-Gaming always offers low prices and discounts up to -97% on many PC games, Xbox games, even on pre-order games. 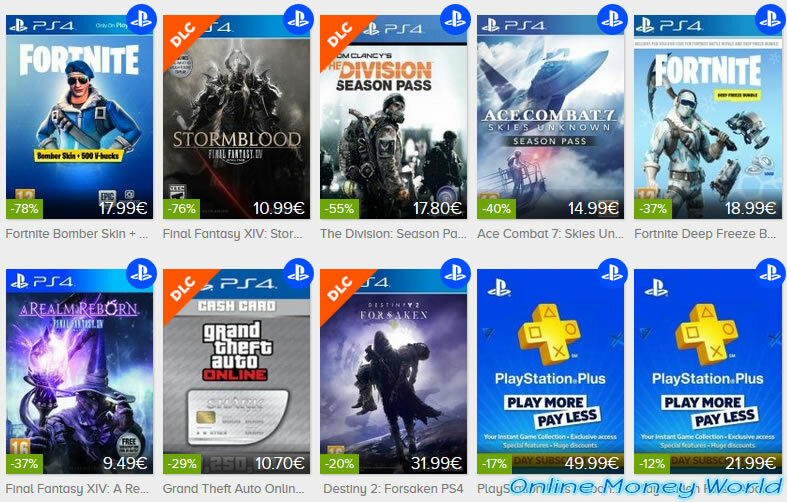 For Xbox games, they currently offer a -97% discount on the Assasin's Creed : Unity game. This allows you to buy it for only € 1.99. For PS4 games, you'll also find DLCs, PlayStation Plus subscriptions with a -78% discount on Fortnite Bomber Skin and -17% on PlayStation Plus subscriptions. In addition, they have the opportunity to offer lower prices because they buy these keys in large quantities. For those who wonder where these CD keys come from, just look in their FAQ. Once you have purchased the CD key of the desired game on Instant-Gaming, you will only need to legally download the game from the official platform for which your CD key is valid. This is indicated on each Instant-Gaming review. In addition, this allows you to download the original files of the game and not files from an unreliable source. you will be able to instantly play your game (once the game has been downloaded and installed on your computer). Recently, we tested the free demo of Shadow of the Tomb Raider (available on Steam) and then we decided to buy this game. 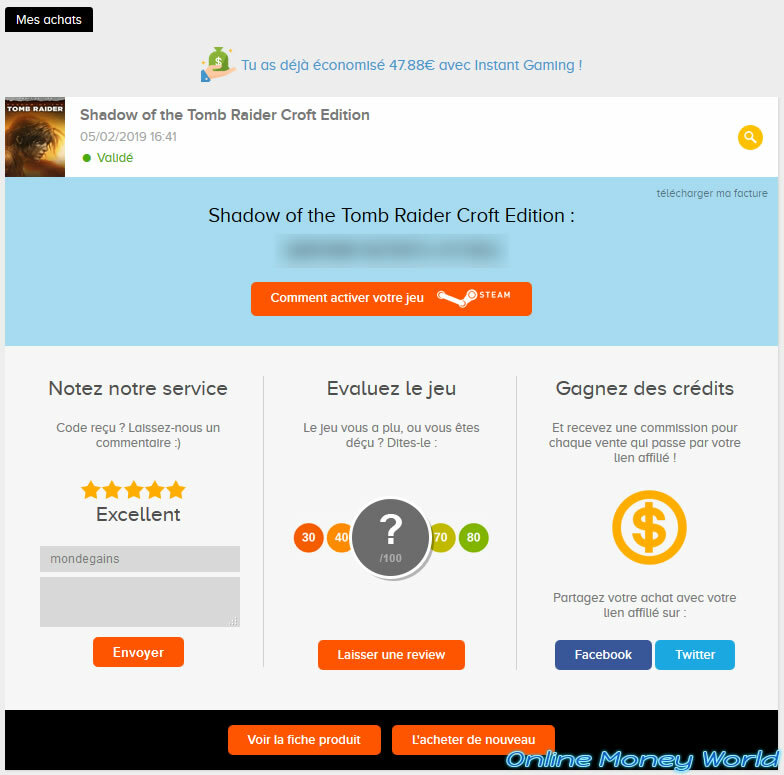 To show you how good Instant-Gaming is, we'll quickly compare prices of safe sources. 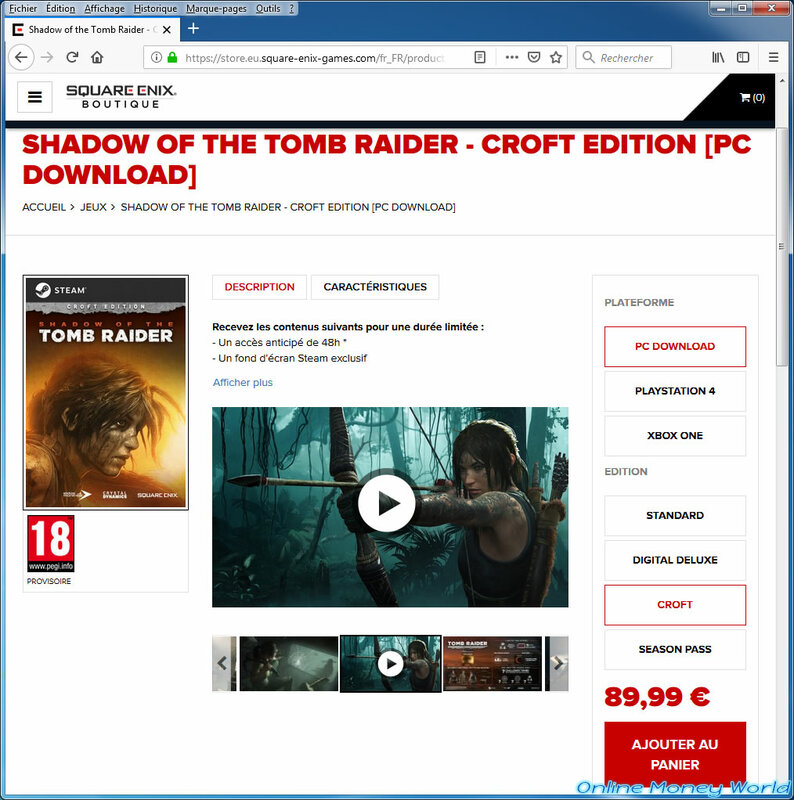 To begin, on the official site of Square Enix who is the author of Shadow of the Tomb Raider, you will see that the Croft edition (which interests us) for PC is 89.99 €. So, its official price is 89.99 €. 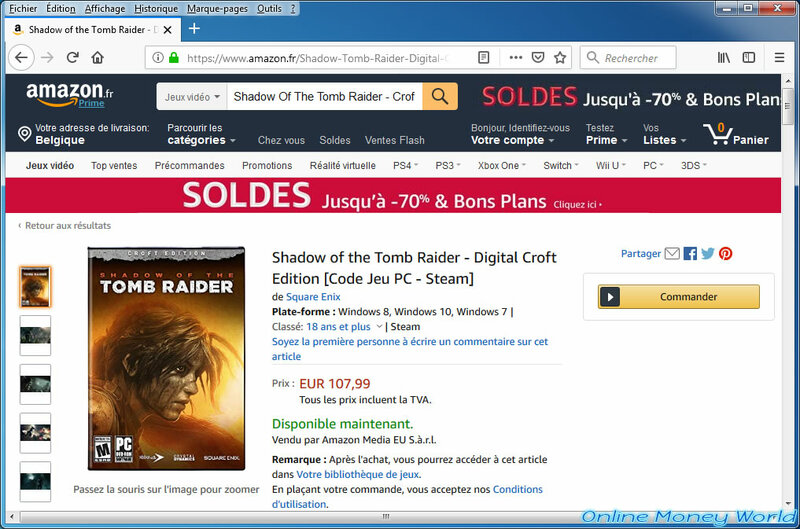 If you go to Amazon and you take the same edition for PC, you will see that Amazon offers to buy the code for Steam and that the price is currently 107.99 € for the copy sold by Amazon itself . Although we buy regularly from Amazon (like many other people), Amazon will not interest us this time. 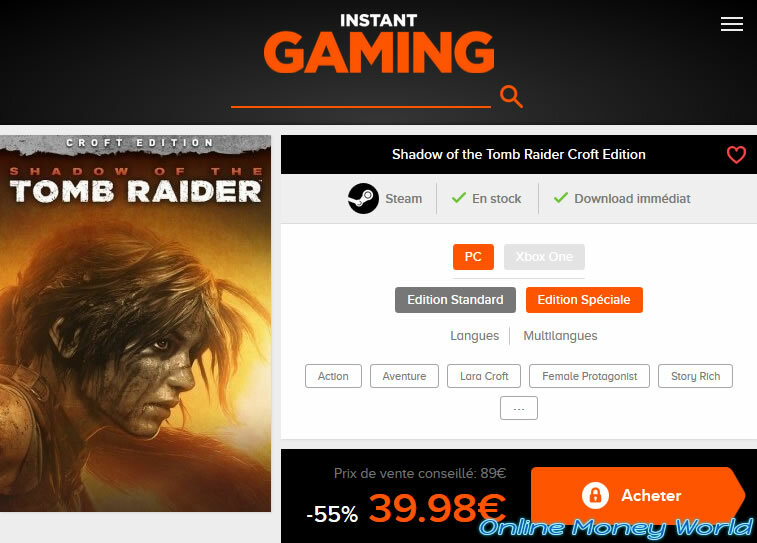 Finally, on Instant-Gaming, which is followed by hundreds of thousands of people on social networks (Facebook, Twitter, ...), you will also find the Croft edition of Shadow of the Tomb Raider at 39.98 €. This game becomes clearly affordable and much cheaper than from the official website. And a little cheaper than from the official Steam website. Once registered on Instant-Gaming, click on "My credits IG" at the top of the site to access this page. 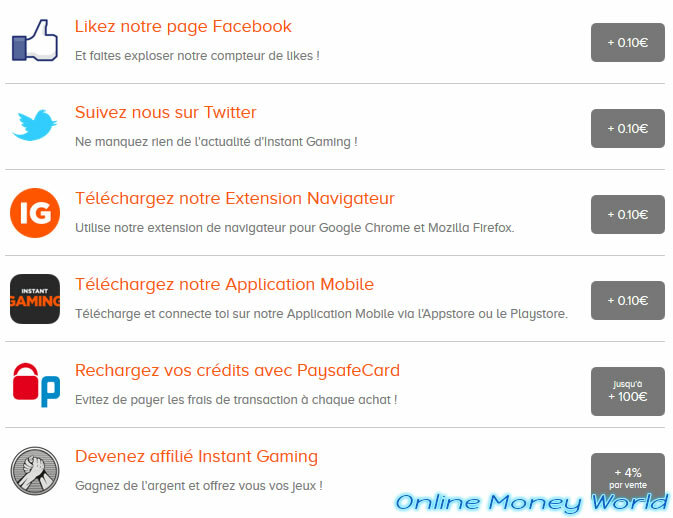 As you can see, Instant-Gaming will give you some free money to follow them on social networks, install their extension, ... and talk about them around you. In our case, we performed the first 4 actions (which allowed us to earn € 0.40 in a few clicks) and we recommended Instant-Gaming to a few friends. Which allowed us to collect already € 17.89. Now, let's buy the game. 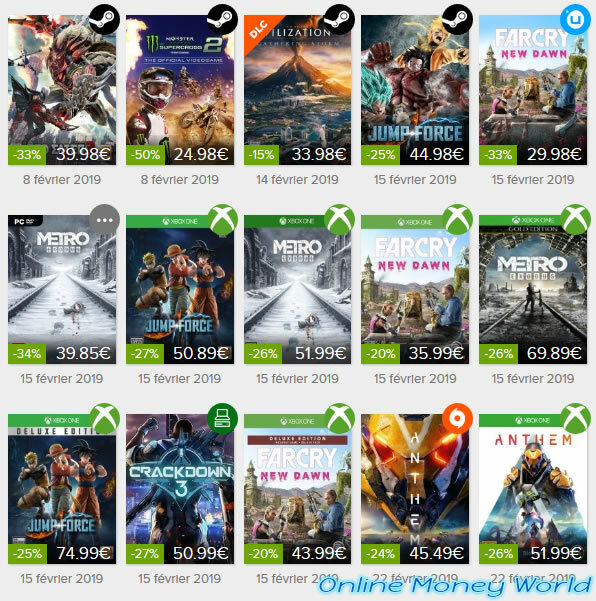 The game is currently available for 39.98 € and we deduct the 17.89 € earned thanks to the bonuses offered by Instant-Gaming (cited above) to get our game for only 23.29 € (transaction fees included ). 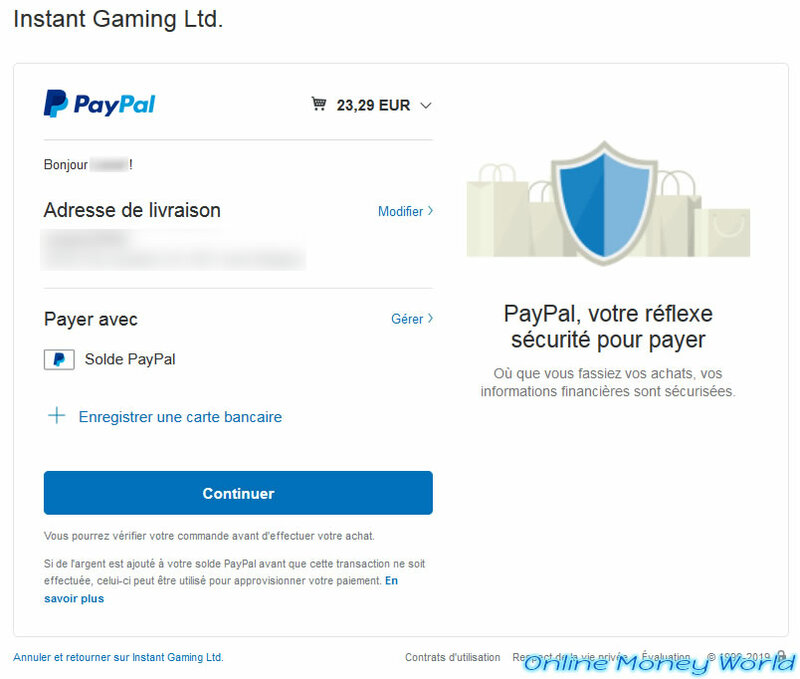 Note that Instant-Gaming offers several payment methods and we prefer to pay online via Paypal rather than VISA (but it's a personal choice). 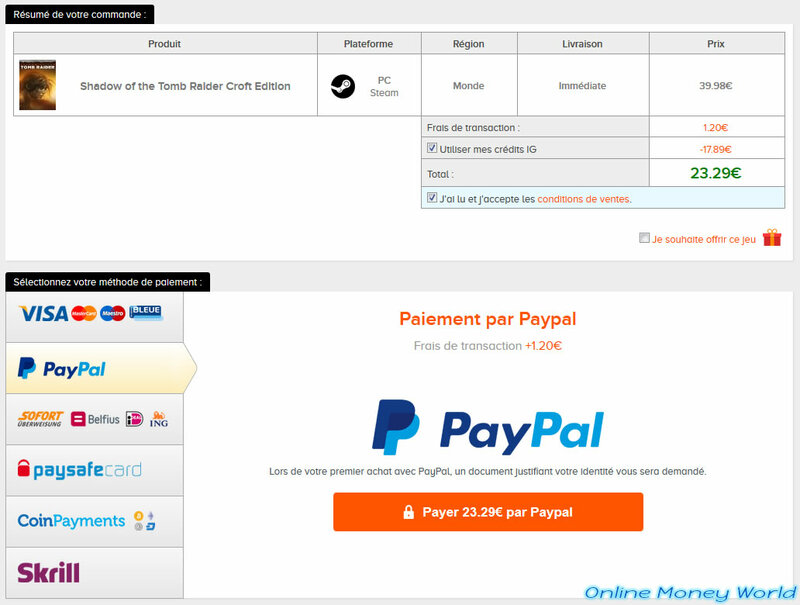 In short, we pay 23,29 € (for a game that is worth 89.99 € if you refer to the official website of this game). 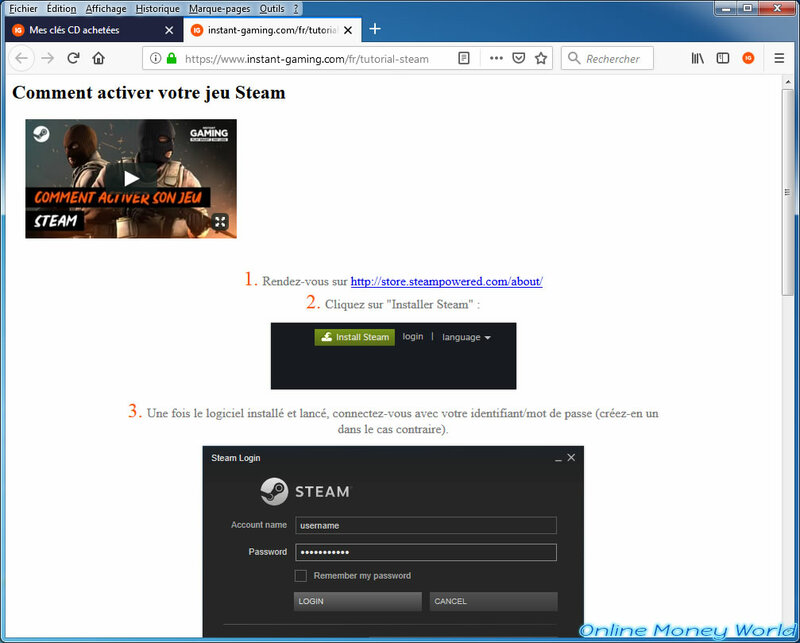 And you arrive on a page of Instant-Gaming that tells you how much you saved thanks to them, as well as the CD key that you will have to used on the specified legal download platform (in our case : Steam). If needed, click on the orange "How to activate your game" button to learn how to add the CD key on the appropriate legal download platform. In our case, the tutorial for Steam is displayed.